← New fragrances and new soaps. If you’re looking for something different, or want to brighten up your bathroom and remember the hot summer days of your holidays in Portugal, these tiles are for you. 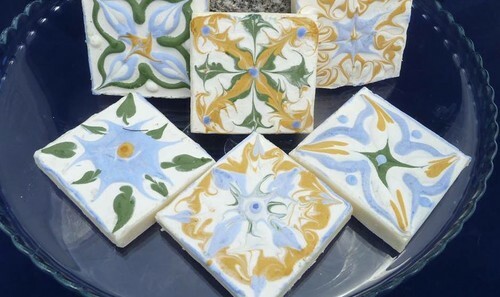 These hand-made soap tiles are based on the beautiful and distinctive Portuguese tiles found in homes all over Portugal for generations.